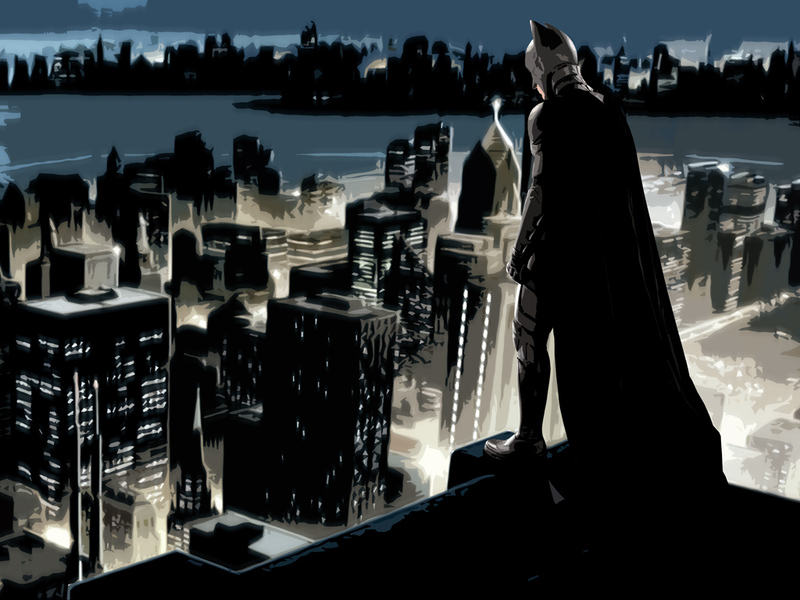 Wrapped in mystery and secret things, the Caped Crusader overlooks his Gotham? What might a Priest of Christ have in common? Read on if you dare. Gotham City! A place where crime is high, evil lurks in every corner, and even the police department and government officials are not to be trusted! In the midst of all this, what rises up out of nowhere but one Capped Crusader, to stand against the darkness in the night, and save his city! Okay, perhaps that is being just a little melodramatic, but have you asked God for your very own personal Gotham City? Whatever evil happens in Gotham, the Batman takes it very personal. This is his town, and he is here to save it! To protect the innocent, as his parents were when murdered that fateful night. Must we have such an extreme thing happen to us before we see the great need of our times? Because, believe me folks, extreme things are coming if we don’t start making a real difference now! Have you asked God for your “target”. 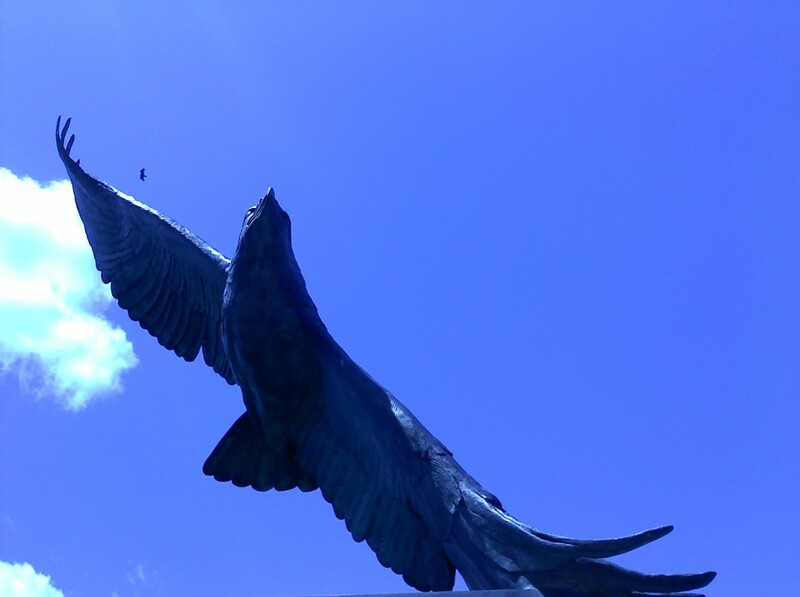 The eagle sets in the high places and spots his prey from afar. It is true we should be ready to seek and to save wherever we go, but do you also have a specific and very personal target? It should be something very important to you. Is it your family, something connected to a skill or talent you have, or the place where you work? Do you have a specific mission from God, for you to rise up like a Capped Crusader and crusade! Fight evil! Pray! Shine light! Give love! Speak the name of Jesus and come against every Joker, Riddler, Two-Face, and demon that sticks up its ugly head because this is your territory and you’re here to save the city! No one else is doing it, the times are desperate and bless God you’re going to become that person! In time, others will join you, and then your team will fight evil together, seeking to save that which is lost! My life is in a reset right now, and God has given me some very specific targets. This has been a practice in my life for a long time, but since I am about to do it again, maybe I should share the action as it happens. After my back surgery, I discovered I would no longer be a truck driver. I knew everything was changing, so I went to God for new assignments. First he had me remodel a room of our house and create “Prayer School”, which we have now changed the name to “Eagle Mountain”. At any rate, it is up and running, and there are some pictures of all that in this blog site, somewhere around April, May, June area. But here are the targets now. 1.) I’m about to go to my very first Writers Conference! Anderson University in Anderson Indiana. The money for the conference was not easy to come by, considering I’m not working, but God provided a wolf dog for me to babysit, (can you believe it? ), for $100/week, and we made it! It happens at end of this month. I plan to get a job downtown after the writers conference is over, and I am targeting downtown as my main area to seek and to save that which is lost! Holy Cow Batman! I will try to write an article once and a while to let everyone know how this goes. I’m starting from scratch. I have no downtown connections or advantages of any sort to expect any thing special to happen, but that is exactly what I am expecting. Now listen, if you think I’m making fun, I’m not! I plan to go into this city, highly trained, armed and dangerous against the devil! Light is a weapon against his darkness. Truth is a weapon against his lies. Love is a weapon against his hate. The weapons of our warfare are not carnal! But they are very real! And Satan knows it. Do you target a mission field with your God given talents, anointing, and weapons? If not you, then who? There may be those who laugh at what I’m suggesting here, but at least I will be one doing something. So if you do laugh, I hope you are at least someone who lives like you’re on a mission for God, otherwise, maybe you should not be laughing? It’s time to take a short break from our developing story, “The Encounter”. At the top of my side bar you might notice a title of Comic Books, God, and Nature. Some might find fault that I put comic books before God in the title, but that is intentional, and for a reason. I have plenty of articles in which God is the main subject, and Christians the target, but I’m targeting a different audience with this one, and comics are the leading subject. This is a conversation I wouldn’t mind having with other people who love comics and superheroes. I’m not talking about Archie, here. I grew up on a strange spiritual diet of comic books, my Bible, and isolation in nature, which meant these things just about had my undivided attention. Now as a Christian, I wonder how that affected me? To this day I am adventurous, even at the age of 59, and I am adventurous for God. I still buy certain comics just to cut pictures out of them. Why? I tape them in my journal next to my accounts of the things I am doing. Why would anyone do a crazy thing like that? If any one would like to have a conversation around this topic, the floor is open. If you want to know more of my story, I have written it on my “About Page”. Just hit the “About this site” button in the header bar. I’m just throwing this out there to see what might pop up. Curiosity getting the better of me. “Vengeance Trail” / A dark horse. The Apostle Paul was a man who should have had a lot of regrets. Perhaps his salvation in Christ so utterly cleansed him that he was able to completely forget his past deeds, but I doubt it. I don’t think his deeds haunted him in the way they do an unrepented person, but I do think he wanted to make amends as best he could. Something “drove” Paul like no other man. Was it the memory of holding people’s jackets as they stoned Stephen to death? Was it his own zealous hunting of Christians, rounding them up to be slain? Hunter of the Christ followers, zealous for his own Jewish faith? Only to discover he had been lied to, and now owed the very one he had been persecuting his very life? Was this the fire burning in his belly that drove him to take such vengeance on the devil? No wonder it is Paul who teaches us the most about what I call “spiritual vengeance”. This article is not for Christian wimps, so if you have no backbone or stomach for this, stop reading now. If you catch the vision of the Vengeance Trail, your life could be in great danger. Do not take up this path without making sure your gun is loaded with real bullets, because the devil has no mercy on the foolish. This is not a path for the novice, but it is a path for those who are so sick of the devastation they see Satan inflicting upon this earth, that they become willing to ride a dark horse and live a “focused” life. It is a path of devotion and dedication, like a Texas Ranger hunting the outlaw. In other words, it is a about a Christian being everything they are “supposed” to be. True spiritual grit! As I write this tonight, I have taken a night off from work because I felt something in my spirit. It is ten after midnight as I type these words. It is now the day that a movie which has been teasing us for years finally comes out…”The Avengers”. How apropos that I write this today. It is a dark horse because it is a “war-horse”. Black represents declaring war on the devil. You see, most Christians have a peace treaty with him, as long as he leaves them alone they would just as soon not stir anything up. Let the devil stay in his territory and I’ll stay in mine, but not so the vengeance trail! Many people believe vengeance only belongs to God. “for it is written, Vengeance is mine; I will repay, saith the Lord.” (Rom. 12:19b) However, the spiritual vengeance trail is not about seeking vengeance on your fellow-man, oh no, it goes much deeper than that, for it strikes at the very root of the problem, not the person being used of the devil, but it strikes at the very devil himself. I seek no vengeance on any man, for vengeance “is” his saith the Lord, but I seek vengeance on Satan! That I am permitted, as the Apostle Paul will teach us. Are you willing to undergo training? Paul lays it out like a staircase leading to a higher place, the place of spiritual vengeance. Are you ready to ride a dark horse and live a dedicated life? Are you ready for fire to burn in your eyes when you look upon the devil? Usually people ready for the vengeance trail have been through a thing or two, and have finally reached a point where they are ready to lay it all down, for they see how great the need is. They have experienced the godly sorrow, been on their face before God until a fire began to burn in their belly, and they rise up in that fire a spiritual Lawman, ready to arrest the devil at every turn. These are people who make the devil wish he had never touched them, because now they are out to make up for every bad thing they ever did. Every act of disobedience they ever performed against the one they now love, burns in them, driving them to ride hard after Satan and his band of thieves and thwart him at every turn! To turn what the devil meant for bad in them, into something good! The drug addict is set free and begins a ministry of helping other drug addicts! The spiritual vengeance trail! I read the words I have thus far written and the fire in me is not satisfied! My words still fall short! You still do not understand Paul, nor the fire burning in me! The fire says write more, write harder, this truth must be known! How will they understand II Corinthians 7:11 if they do not see the fire? Look at those words! The words…what carefulness…what fear…what vehement desire…what zeal…what revenge! Do you see the fire building with each word? Do you see the godly sorrow building, climbing a spiritual staircase to the most intense place of all, a fire of vengeance against Satan himself! This is the place Paul is inviting us… but it’s not for everyone…this I know. It only takes a few people alive with this fire to accomplish great things. After all, look what the Apostle Paul, one man, was able to accomplish, and their light inspire a multitude of others! 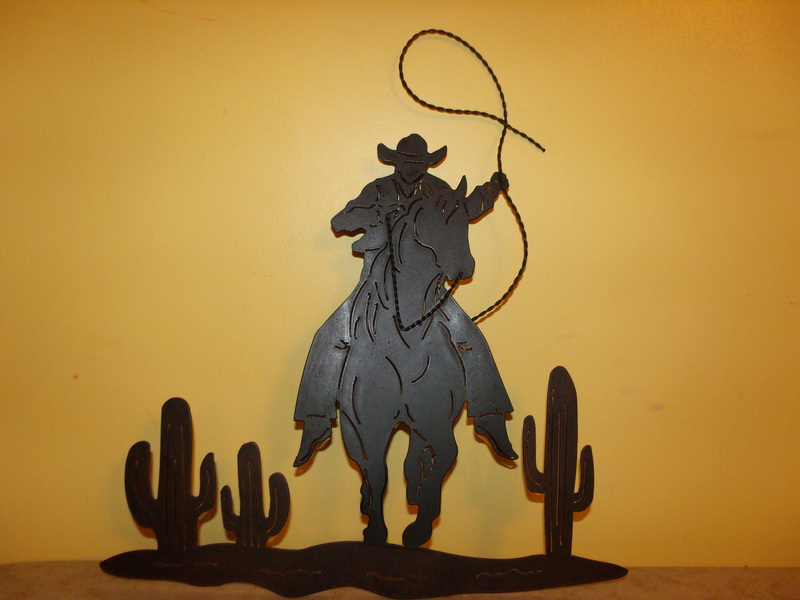 But what is this “Lawman” that rides the dark horse? Now comes the warning. Paul is not done teaching, for this is not a vengeance against anyone else, as I said before, this is vengeance only against the devil and your own past disobedience. The dark horse, the war-horse demands a dedicated rider, or you will regret ever putting your feet to this path. The devil can only be arrested by “the Law”. To revenge all “disobedience” when your “obedience” is fulfilled. Whose disobedience are we revenging? Your own! Some of us have a lot we want to pay the devil back for! The Apostle Paul knew all about that and he burned a trail like no other man. The devil regretted the day he ever tried to use a man called, Saul, whose name God changed to, Paul. This path is not for everyone, but if you’re at such a point in your life that you’re willing to submit yourself to training like a Navy Seal going after Ben Laden, then perhaps…just perhaps…this article has been written for you. If you are such a one, you must daily drink his juice, for this is a supernatural path of which God works from the inside out…to empower…to enable…to inspire. God has set us free from the curse of the Law, but we can become Lawmen, experts in how God designed everything to work, and the devil can be arrested. It is a life dedicated to the Word, prayer, and action! When you can call a sword out of your mouth at your command, now you’re ready to hunt devils. As I said, this article is not for everyone. I have taken a risk at writing something so deep on my Cowboy site, but it is a risk this cowboy just had to take. 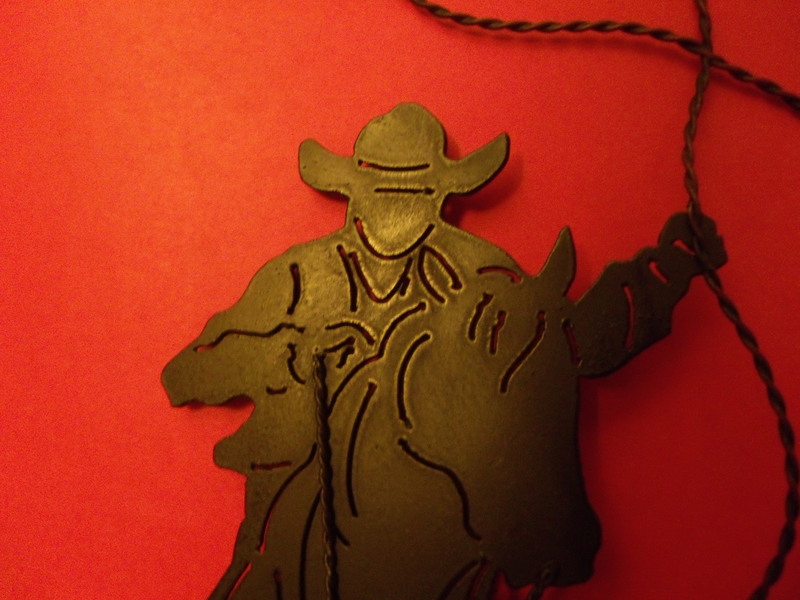 There is a dark horse waiting for anyone willing to ride the spiritual vengeance trail. I never said it would be easy, but I can promise you fire and passion! Make the devil wish he never touched you! Study those two verses of Paul closely, and I think you will see there is a Vengeance Trail. Your War-Horse awaits. It’s time to cowboy up!